Serve up refreshing drinks, savory snacks and fireside s’mores on a summery tray. The perfect accessory to brighten up your outdoor living space, trays can be functional to serve or decorative for an ottoman or table. Courtly check serving tray, by MacKenzie-Childs, available at B. Davis Design. Copper tray, available at The Porch. Enchanted garden decoupage round wooden tray, available at Emporium St. Louis. Victorian octagonal tray in orange, available at Imogene’s. Wood and mirrored damask tray, available at The Porch. 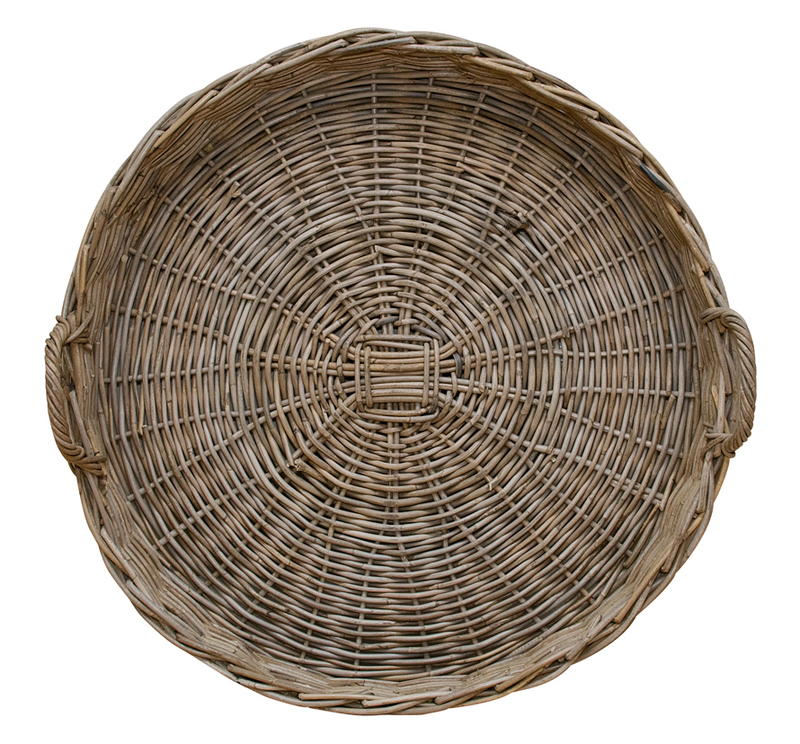 Small round basket, available at Marketplace at the Abbey. 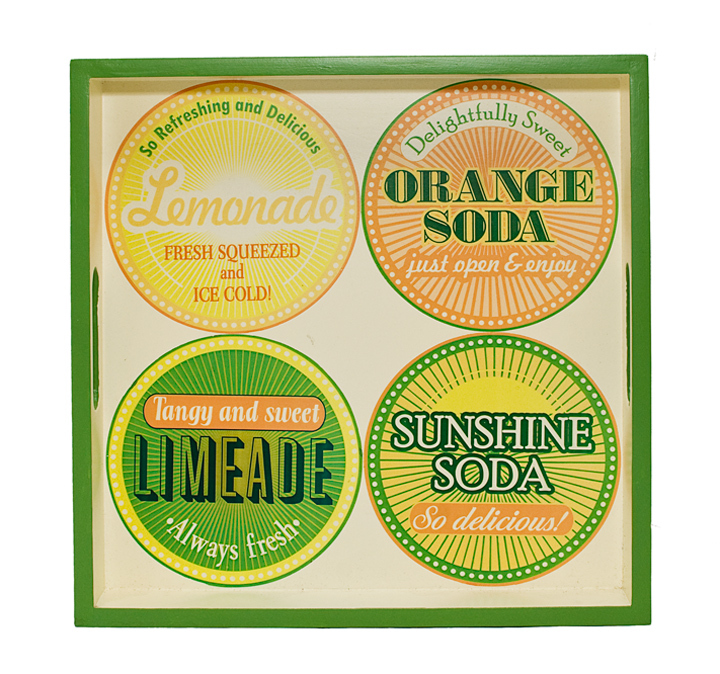 Soda tray, available at Terra. 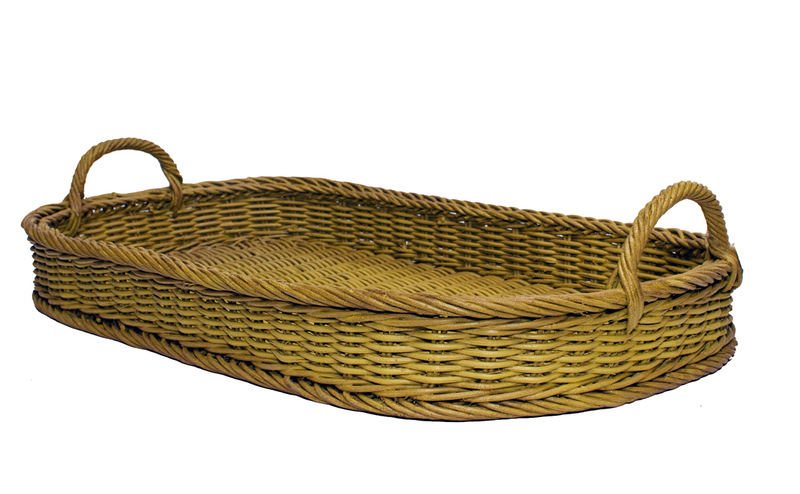 Oval rattan tray in yellow, available at Three French Hens. 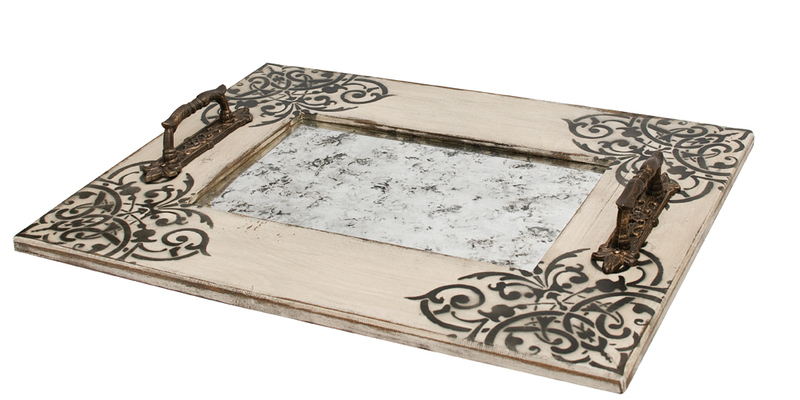 Metal tray with scroll, available at The Jeweled Cottage. 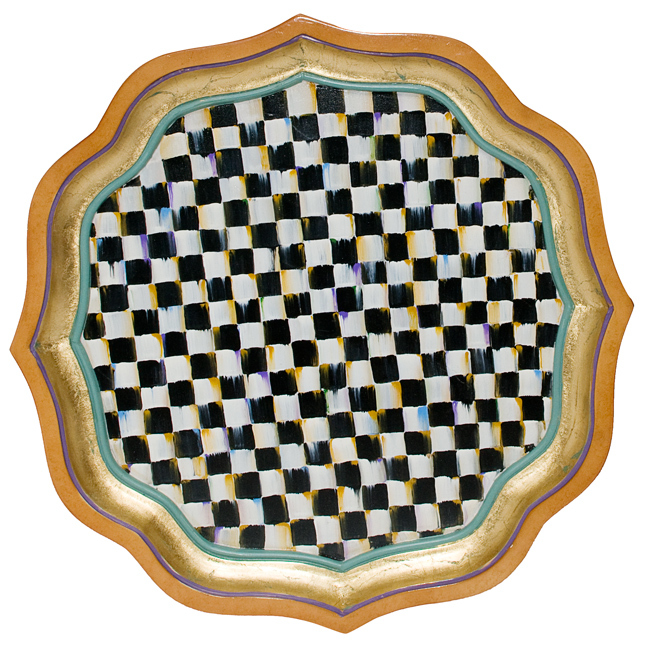 one: Courtly check serving tray, by MacKenzie-Childs, available at B. Davis Design. two: Copper tray, available at The Porch. 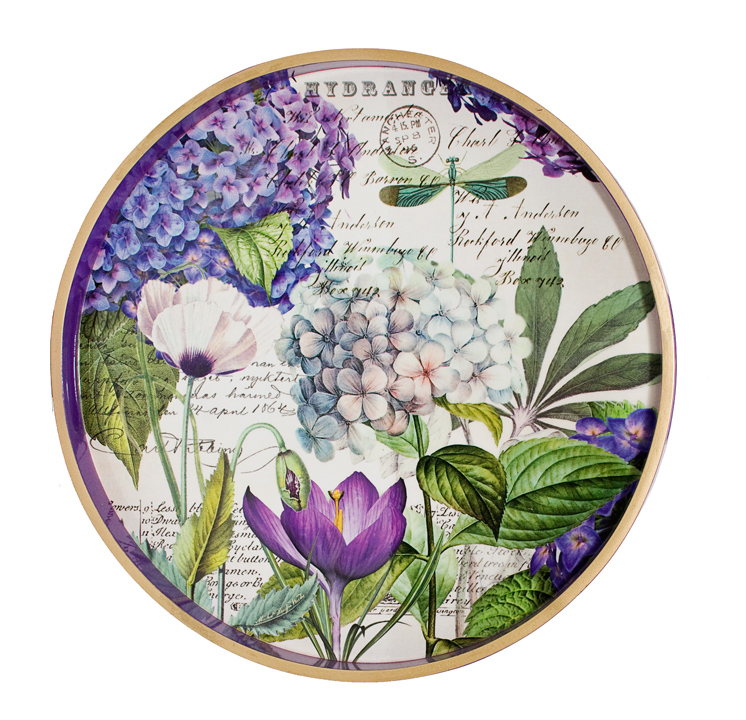 three: Enchanted garden decoupage round wooden tray, available at Emporium St. Louis. 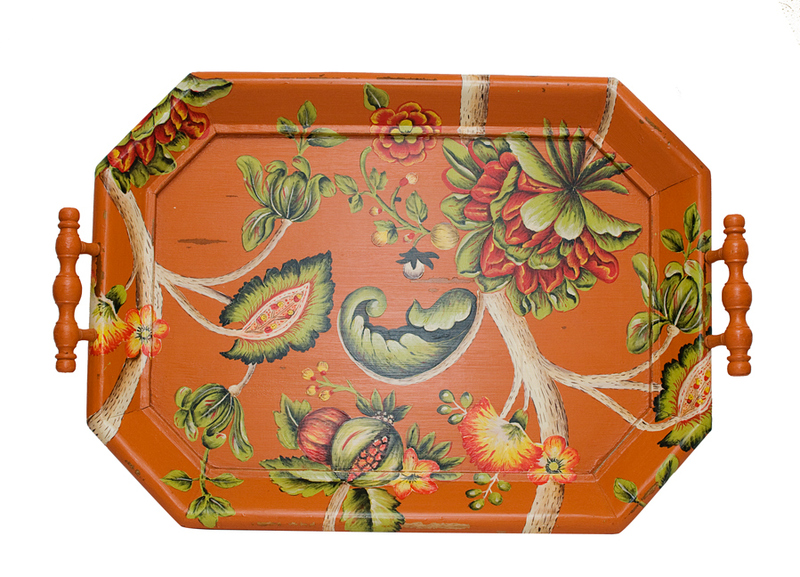 four: Victorian octagonal tray in orange, available at Imogene’s. five: Wood and mirrored damask tray, available at The Porch. six: Small round basket, available at Marketplace at the Abbey. seven: Soda tray, available at Terra. eight: Oval rattan tray in yellow, available at Three French Hens. nine: Metal tray with scroll, available at The Jeweled Cottage.